Join Professor Wiseman as he describes the Haven project, shares the project’s results so far, and discusses the impressive new partnerships in Indigenous crops and gardening that are forming this spring. 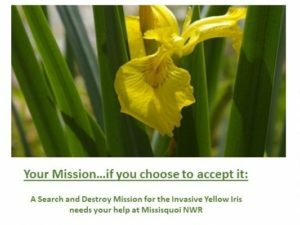 Archaeological research has shown that many hundreds of years ago the Missisquoi National Wildlife Refuge and surrounding areas hosted fields of corn and probably many other important crop species. Scholars have long wondered what this long lost agricultural system looked like. The Haven project began a program in 2011 to track down and reintroduce ancient original crop plants and cultivation methods to Indigenous Vermont gardeners and farmers. Crops such as the rare and endangered Gaspe and Abenaki rose corn, skunk beans, and Algonquin squash have a long history of being grown by Indigenous people of the region, but are locally extinct. Professor Fred Wiseman will share the results of the “Seeds of Renewal” project, highlighting its success as well as its challenges. One of the more fascinating developments is the interest in Indigenous foods sparked across Vermont by the Haven project, leading to the development of a cookbook and experimenting with the New Indigenous cuisine. 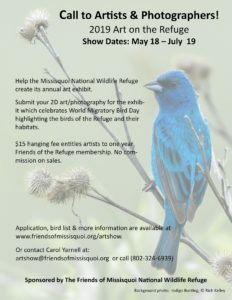 Where: Missisquoi National Wildlife Refuge Visitor Center, 29 Tabor Rd. Swanton, VT.